Last Monday, I groggily said my goodbyes to Papa as he left for work. He opened the door and stepped out into the pre-dawn dark. A few moments later he leapt back inside and slammed the door. Yes, this was a close encounter with crepuscular fauna oft smelled but rarely seen. A striped skunk. 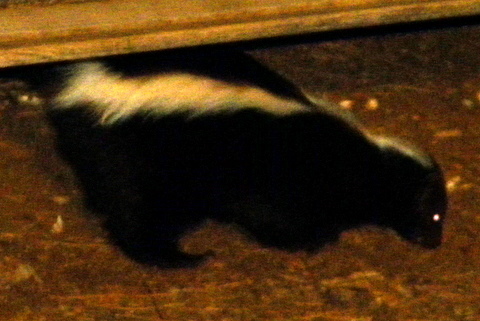 We peered from the doorway as this little skunk moseyed over a few feet and paused to examine some peanut shells. 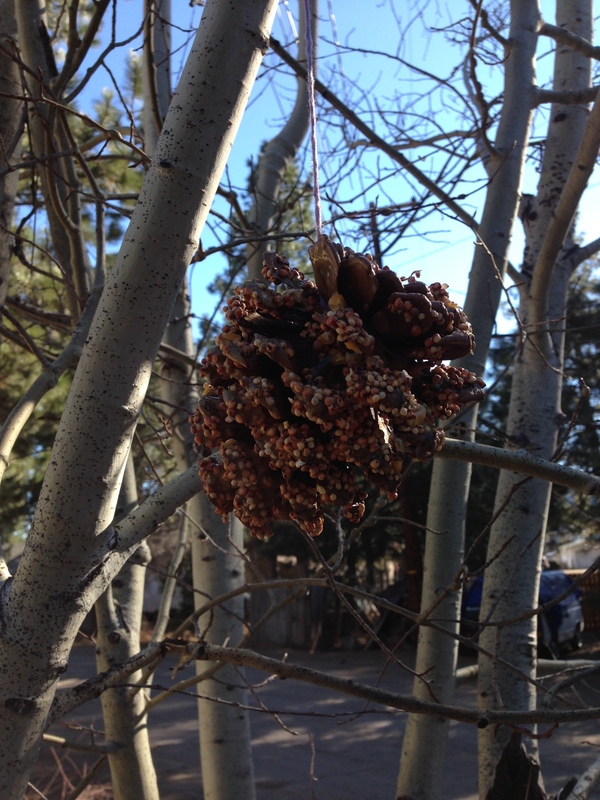 We tried to quietly shoo it. Annoyed, it flipped around and raised its tail. We decided to let it take its own sweet time. Finally it ambled off into the dark, and Papa attained his truck without further incident.